Iris has the reputation of being a cold and austere note. Obtained from the roots of iris pallida, rather than flowers, it smells of its source–more like a sliver of frozen woods than petals. 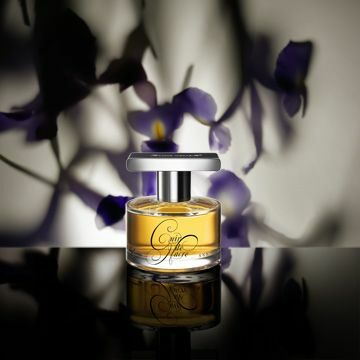 (This is why iris in perfumery is not quite a floral note, and it’s classified separately, between woods and violets.) And yet, it’s my favorite scent for winter. It fits so perfectly into the wintery panorama of scents that I can hardly imagine these cold days without an opaline sillage of iris. On the other hand, a beautiful perfume is beautiful all year round, so I’m slowly transitioning to spring with my bouquet of irises. The indisputable gold standard irises are Chanel No 19, Serge Lutens Iris Silver Mist, and Annick Goutal Heure Exquise. Hermès Hiris is another notable fragrance, often referred to as “a cult favorite,” whatever that means. Although I enjoy No 19, Iris Silver Mist and Hiris, my personal iris cult is more varied, a testament to the allure of this ingredient. Does the world need another rose perfume? I’ve posed myself that question on many occasions, as the variety of roses keeps increasing, but I invariably end up saying, yes. Jasmine, orange blossom and tuberose, the so-called white flowers, may seduce me, but rose makes me happy. Light and shimmery or dark and velvety, this blossom in the perfume bottle is my gateway to fantasy. Enter the new rose to tempt me, Ann Gérard Rose Cut. A jeweler based in Paris, Ann Gérard has already three perfumes to her name, Cuir de Nacre, Perle de Mousse, and Ciel d’Opale. All three were created by Bertrand Duchaufour, the perfumer whose name graces many niche offerings. Rose Cut is also his composition, and in creating it, he and Gérard were inspired by a diamond-cutting technique which gives stones a special radiance. Paris jeweler Ann Gérard is introducing a new fragrance in her collection this spring. Rose Cut was created by Bertrand Duchaufour, the same perfumer who worked on other fragrances in Gerard’s collection, Cuir de Nacre, Perle de Mousse, and Ciel d’Opale. The name derives from a diamond-cutting technique which gives stones a soft radiance. “My inspiration for Rose Cut was a word: Allure. While beauty often fades over the years, allure lasts forever. Rose Cut celebrates women who fully embrace their personality and femininity. To reflect their many facets, I wanted an “oxymoron fragrance” that would combine opposites: femininity/strength, luminosity/depth. When I first smelled Ann Gérard Perle de Mousse last year on a cold winter day, this delicate perfume didn’t seem quite right. 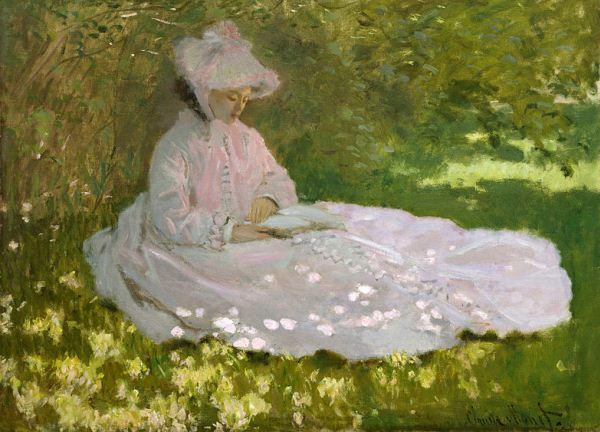 Its sun-dappled demeanor needed a white seersucker dress, a picnic basket, and a mild spring breeze. In other words, it felt like a perfect warm weather fragrance that could be both casual and elegant, a rare combination. Perle de Mousse was created by perfumer Bertrand Duchaufour for the jeweler Ann Gérard, whose warm Cuir de Nacre would tide me over while I waited for spring to come. (Ciel d’Opale is the only fragrance from the trio that didn’t move me.) Though it’s already March, we still get the occasional snow fall here in Belgium; yet, the sun becomes more generous, prompting the freckles to bloom on my cheeks. It’s now time for Perle de Mousse. What is it about the combination of iris and leather that makes it so irresistible? Perhaps it’s the contrast between the austere iris–the earthy, half-frozen root, not the lush flower–and the salty sweetness of tanned hide. Perhaps it’s the natural harmony they form, since leather has some green nuances, while iris has a subtle hint of suede. In Cuir de Nacre, a fragrance from the collection by Paris jeweler Ann Gérard, the iris-leather duo receives an elegant treatment. It smells enveloping and effervescent, casual and chic. Cuir de Nacre was created by perfumer Bertrand Duchaufour, who also was responsible for Ciel d’Opale and Perle de Mousse, the other two perfumes from the line. Ann Gérard sold Cuir de Nacre previously to her clients as Pleine Lune, and the limited edition was so well-received that she decided to launch a trio of perfumes. Perle de Mousse and Cuir de Nacre captured my attention immediately for their refined, polished character.